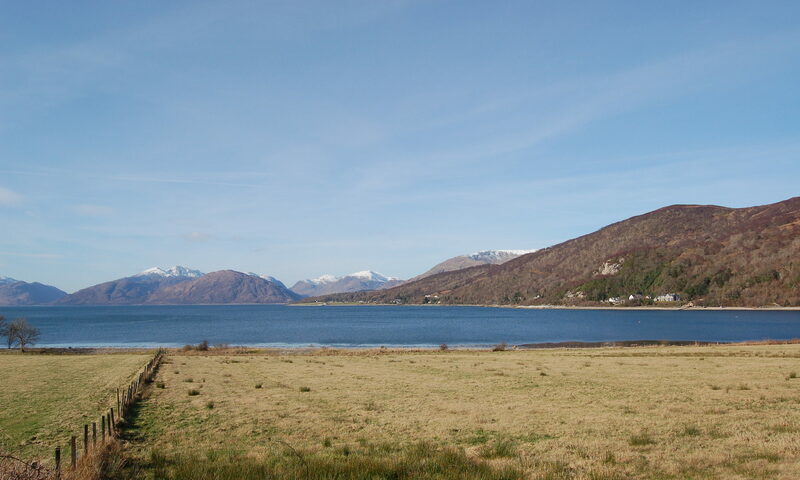 NLCA is a local, voluntary association which aims to make Nether Lochaber a better place to visit, live and work. Our membership is made up of people living locally who want to get involved in improving their community. However, everyone can follow our progress and projects here. Events will vary, small-scale to start with, but we hope to gain SCIO status and then increase our ambitions. All the projects will enhance our area, for visitors, residents and businesses. Details of events and how you can get involved are published here. There is a committee of Trustees who are working on the application for SCIO status and an action plan based on the ideas presented at the Community Council’s Memories Weekend at the beginning of 2017. We hope you will join us – contact us on our Facebook page or email us now at netherlochaberca@btinternet.com to register interest and for a membership form, or check out our list of events. Thank you everyone, glad you enjoyed the beach. So pleased we had good numbers. It’s the people that matter so watch this space for a Pop Up Gathering, at the picnic site, where we can meet, eat and enjoy company. Bring your own everything, BBQ, food, drinks and craic. We have heatwaves all the time, as you know, but occasionally we dont. It’ll be short notice and just ‘pop up’ when the weather looks good for a few days ahead to give us a half decent chosen afternoon/evening. 5 or 25, it’ll be really nice to gather in our own community front garden. Upwards of 60 folk at the ceilidh. We took £145 donations from the fast RIB rides which were definitely a highlight. Jill took no profit and it was very well driven. All ages had rides, 29 people in all. Great fun and very exciting for even seasoned boaties. Stunning work on the pole from many all day preparing for the event. Great bonfire and a gathering to remember. Thank you for coming and for all your help to make it happen. I’m very grateful. Can you spare an hour on Saturday afternoon to help get things ready? Meeting at Nether Lochaber Parish Church car park at 2:30pm for an hour or so. transfer on the night) and foot pump! I’ll run around getting the above together during the day but I might struggle to do the transfer down to the beach. As I write this I’m getting offers of help from friends to move stuff to the car park. If you have any squares or rectangles of hardboard we can paint beach style lettering on then please bring. Anything surplus can go on bonfire. We’ll screw them to wooden sticks to drop in the top of the the bollards. I’ll bring paint etc. We can then set up the basics for the Beach Ceilidh. The rest will be down to who turns up to enjoy the beach and the gathering. Bring a folding chair or cushion to sit on!!! Please encourage all ages to come. Help them get there if they need lifts. Even if they come for an hour, this is their beach too and we need to use it more. 6pm onwards flowers gratefully received for decorating the pole. Loos and brews up at the church hall. Onich Hotel have stock of plastic glasses for drinks. Any proceeds from the RIB trips and BBQ will be shared with Nether Lochaber Parish Church who have my gratitude for their support. Best way to say thank you. So bring a bit of cash. I've some junk ply here, Nell, 3or 4 bits. In addition to the evening we now have (all things being equal) Nether Lochaber Church hall open for tea, coffee and loos and fast RIB trips from the beach. Donations of £5 are suggested if you and your family fancy a spin round the bay in the Seaxplorer RIB. All proceeds will go to NLCA and Nether Lochaber Church. Something for you to consider, and please pass on to your friends who might not see this. We would like to add a little more to the picnic tables at Camus à Chòis. Bit of an experiment. Depending on contributions from yourselves we think a small log slice with a laminated A4 page of interesting information or story affixed (as has Ruet’s story been for some time) might be a generous and interesting gesture towards visitors and locals alike. Subject matter up to you. Share something you are enthusiastic about or have knowledge of. Could be things to see and do five minutes from the picnic site. It could be about the view we see, or the crofting fields and how they came about. How about the Gealic names of the peaks across the bay translated or explained. Dog walks or little know footpaths. How about a landscape or crofters cottage work of art and some words to explain where it is or can be found. At the right time of year it could be about the wild garlic or bird nesting habits. Tides explained. Shipping history of the bay. When the bridge was built, the changes it brought. One item per table, maybe only on two tables. Maybe more. Small enough to pass round or turn to read where you are sitting. To keep it fresh through the year we would keep your contribution safe for future or repeated use. Can’t guarantee everything will make it to table, but nothing will go to waste and if you feel a little nervous about writing, editing and perfecting your page, we will help if you give us the facts or tell us in your own words for us to edit to suit. Don’t be limited by my suggestions above. Up to you, this is your place and your stories. Thanks to Jennifer J for coming down to Cuilcheanna. Started midgy but cleared ; they either don’t like paint smells or they’re texturising it somewhat. We painted by stages and the current end result is as far as we wanted to take it. Being arteests and all that we stopped at this aesthetic. Activity morning again this Sunday for those who can come for a couple of hours. This Sunday we will mostly be playing with Cuilcheanna bus stop. 10am. The plan involves painting the new seat I made for it this week, which is in place now (light blue as village benches) and whitewashing the inside walls. There is doubt about wholesale whitewashing the exterior walls because it’s a big step and the change may be a bit radical for some so we will paint the door frame and the roof lintel (all round the top) in light blue masonry paint - upon which we will stencil lettering “Cuilcheanna” in the dark blue tub colour. Once the light blue is done we can all step back and take stock. Your feedback over the next couple of weeks will determine whether the exterior is painted white. I have the paint, wire brushes, paint brushes, filler for minor external crack filling and we will get as far as we can. The photo does not do the bus stop justices but this is the “before” shot. At last I have a minute or two back from a sunny Wester Ross road trip and sail racing this past couple of days and home connection enough to send you a couple of photos from the picnic site opening last Sunday. Thank you so much to all of you who attended, and to all who made the day possible from bakers to flower planters, tea and coffee makers to bunting dressers and thank-you-card creator. Without you it just does not happen. Thank you also to the folk (that you might find in previously posted photos) who put in the graft and heft to transform a scrubland corner into what we are all beginning to see the true and beautiful potential of. Ruet Reas and Kate Ward were our distinguished guests who kindly cut the ribbon. Ruet in her 100th year came over from Dollar with her daughter Evelyn to join us for our celebration which was blessed not only by kind weather but by shared memories and reunions none of us could have imagined only a couple of weeks before the opening. The printed story behind the memories is, I trust, still on display on one of the picnic tables. Thanks to everyone else involved. You know who you are. Well done. All tables painted (dry in a couple of hours or so) and all final seat bolts in place. Camus à Chòis (Bay of the Nook) is well on its way to becoming a major landmark. Our major landmark. Beautiful ! Good on you guys !